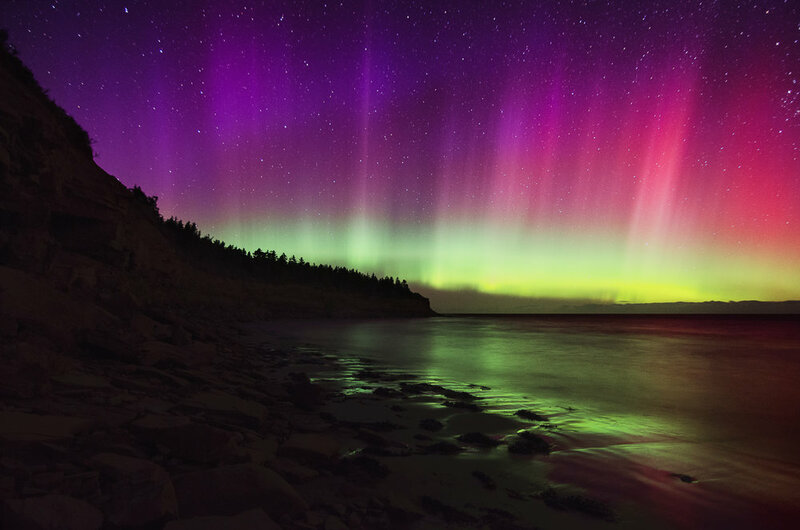 The Northern Lights and a meteorite light up the sky above North Rustico, Prince Edward Island (National Park). Brackley Beach, Prince Edward Island (National Park). 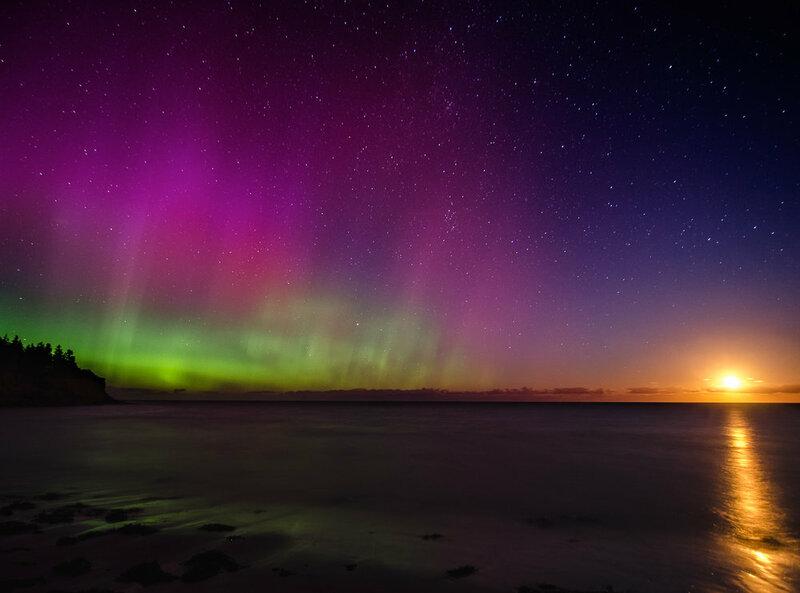 A strong geomagnetic storm created a beautiful Northern Lights appearance, which just happened to coincide with the rising full moon. North Rustico, Prince Edward Island (National Park). 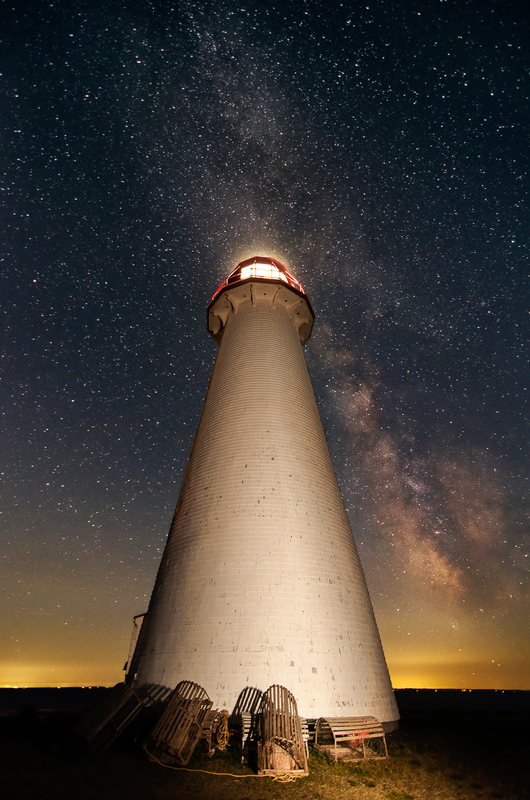 Point Prim Lighthouse, Prince Edward Island. 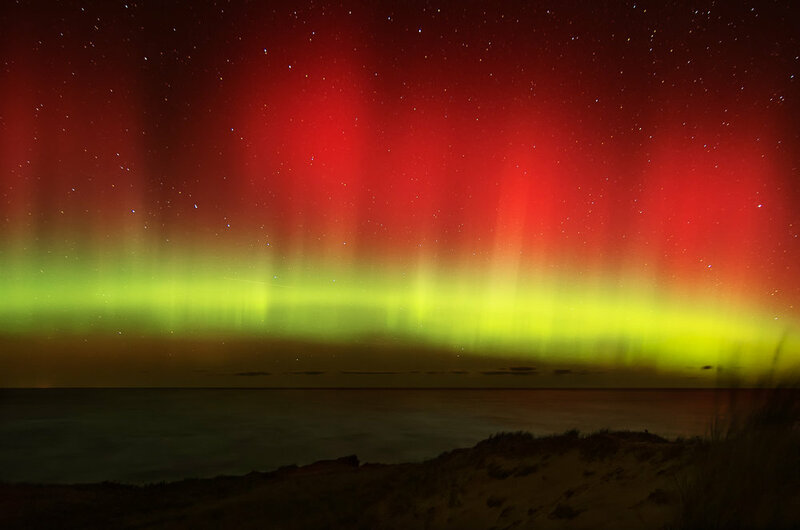 Red light in a Northern Lights show dances above the Gulf of St. Lawrence near Cavendish, Prince Edward Island (National Park). Sea ice and Northern Lights, Prince Edward Island (National Park). North Rustico, Prince Edward Island (National Park). Canoe Cove, Prince Edward Island. 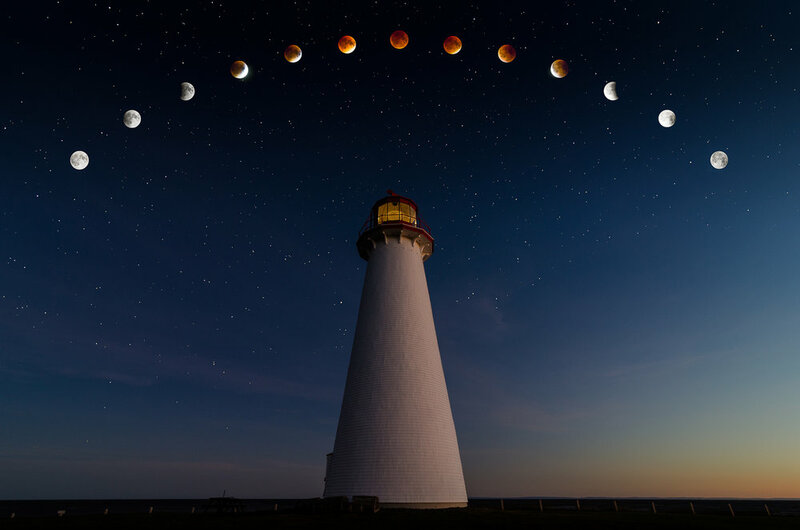 St. Peter's Lighthouse, Prince Edward Island.